So I was looking through my Windows XP VM and I noticed when I opened Google in IE 6 it opened sort of an older version of Google. As you can see, It only really effects IE6. Mypal reads the newer google just fine. 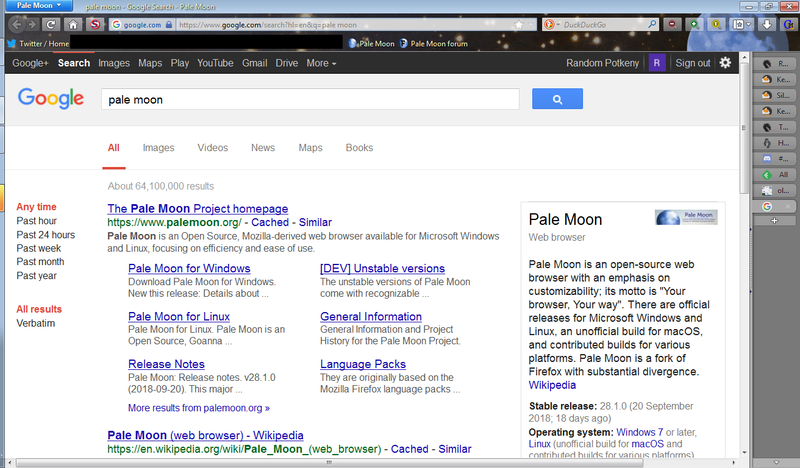 I was wondering if there was a way to get the older Google in current Pale Moon on Windows 10? I'd personally love to see the older Google again. I'm using NoScript, but that makes my PM not supported, I believe uMatrix can do it (and others I forgot too). Since I'm surfing the Web most of the time with scripting disabled (leaving all the junk behind me ) such a button is very handy. Making special rules for most sites isn't an option for me since sometimes I enable JS (for some content) on sites I regularly access with JS disabled. 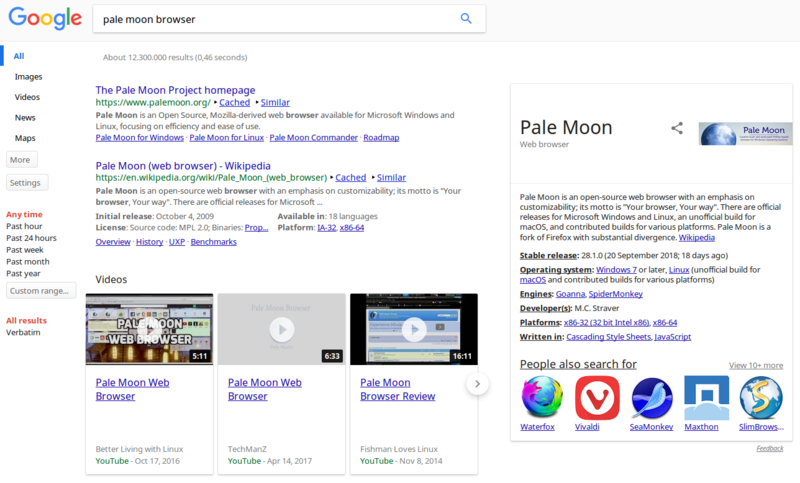 I always have the old Google design (or at least something similar to that) with the help of the Stylem extension and this userstyle. 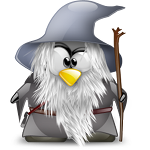 Last edited by nicolaasjan on 2018-10-14, 16:50, edited 1 time in total.